Creating an estate plan requires the consideration of numerous factors. One decision that many Nevada residents make during estate planning is to use a trust. With the amount of choices that need to be made in the creation of a trust, some people may not realize that ending that trust needs to be part of its construction. Of course, when there is no longer property being held in the trust, it can terminate. For instance, in a trust composed of cash, securities or even real estate, once the funds are completely distributed, the trust serves no further purpose. However, the person creating the trust — called the grantor — can specify an end date in the trust. A distribution of all of the assets of the trust on a particular date or the occurrence of a specific event — such as college graduation, marriage or a certain age of the beneficiary — can trigger the end of the trust. In order to ensure that this final distribution occurs in accordance with the grantor’s wishes, instructions should be included in the trust regarding how the property is to be disseminated. In the absence of such instructions, the trustee and beneficiary will need to determine the most advantageous method. Estate planning is about controlling how and when your property is given to your beneficiaries and heirs. Determining the end of a trust is part of that process. The factors that go into making that choice will not be the same for every Nevada resident. The construction of the remaining provisions of the trust could provide for a logical end to the trust, but that may not always be the case. 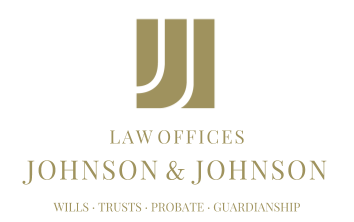 Seeking guidance regarding this and other estate planning matters may be beneficial in order to make sure your wishes are carried out in the manner in which you intend.